KIMS Hospital is the largest independent hospital in Kent. With 99 beds, five theatres, two endoscopy suites and an interventional lab, KIMS Hospital has been designed to provide first-class healthcare for the Kent community. KIMS Hospital has been providing a variety of internships to EP students since 2016. 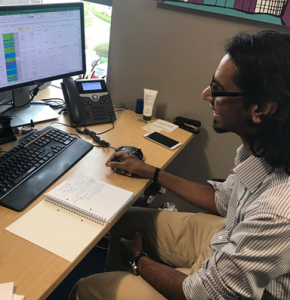 During the first year of the hospital’s involvement, Yaj Jugnarain (Actuarial Science, postgraduate) was successful in his application for an internship focusing on analysis, reporting to the HR team. During his time working with KIMS hospital, Yaj completed a full review of the compensation and benefits to staff, and bench-marked out pay and benefits against their competitors. He also worked on analysing training data and producing individual training records for each member of staff. 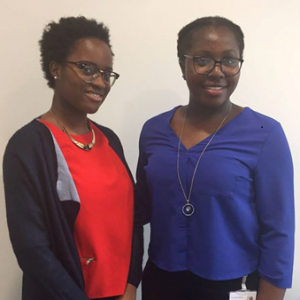 Francisca Emejuru (Biomedical Science, stage 1) carried out a project within the pharmacy department of KIMS Hospital for a total of six weeks between June and August 2017. This involved a complete refresh of the 1776 pharmacy items in the pharmacy database within the hospital computer system (Compucare). This involved checking the accuracy of the medication name, the standard dosage instructions, the stock location and that the labels complied with the British National Formulary requirements. She was also able to visit the theatre department to observe some operations and given an overview of the running of a pharmacy department. 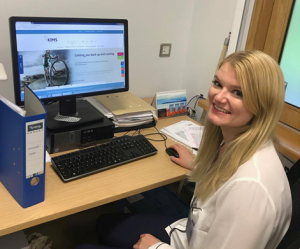 Katy Noakes (Biomedical Science, stage 3) also carried out a series of projects within the pharmacy department of KIMS Hospital for a total of two weeks during August 2017. These included reviewing the documentation for unlicensed medication, fridge temperature documentation, tidying up of pharmacy standard operating procedures (SOPs) folder and stock checks. Katy also had the opportunity to visit theatres to observe some operations. She visited the pathology lab and observed the workings of the pharmacy department as well as assisting in departmental top-ups and supervised dispensing. She studied Micrbiology techniques in: MRSA, urine analysis and culture, and sensitivity testing. She also learnt about specimen reception, the importance of accurate patient information for analysis, referral test pathways, histological investigations and blood transfusion investigations. 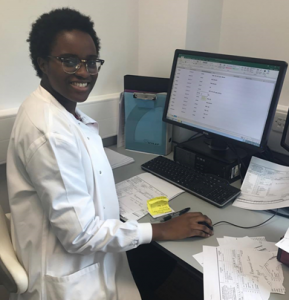 The laboratory manager taught Glory about diagnostic haematology and showed her blood films, and she also undertook a project to ascertain turnaround times for full blood counts, histology, and urea and electrolytes to inform quality indicators.